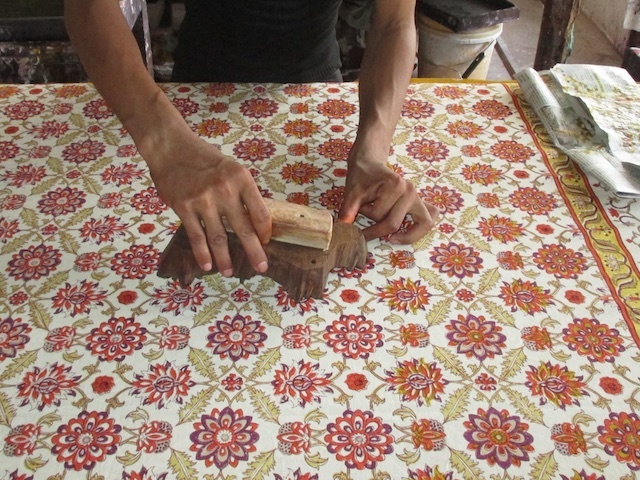 Orange Blossom is one of our most difficult collections to prints. 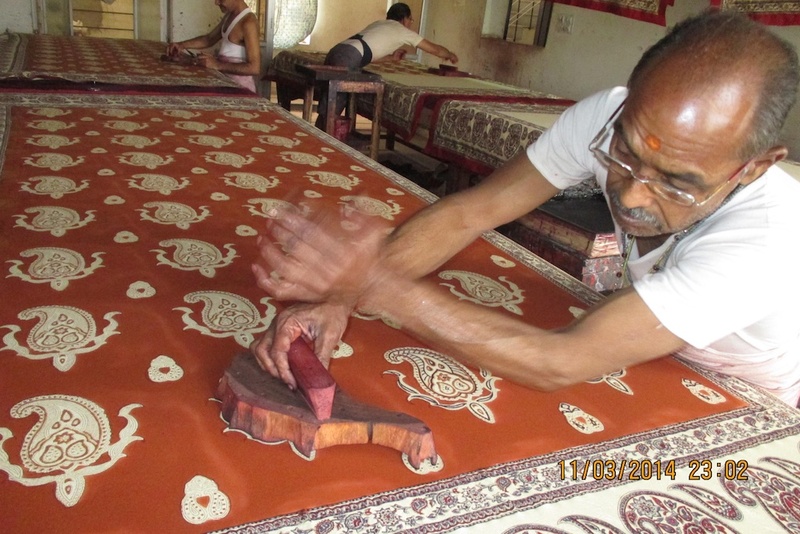 In this post you will get a sense of the workmanship it takes to bring it to life. Beware! This is not one of those posts that you simply skim through 🙂 It all starts with a seemingly simple step – which is reality is not simple at all! 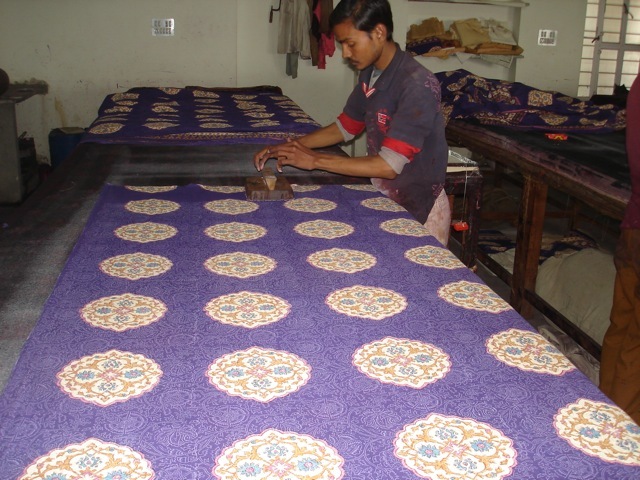 In this post we will walk through the making of Dancing Paisleys – one beautiful block at a time. This is a Kashmiri shawl inspired vintage paisley print consisting of blue, red and cream paisleys patterned across an opulent red ground. Relaunching Midnight Lotus – same print, new presentation! In this post, I would like to introduce you to the re-launch of Midnight Lotus. This print will say good bye to winter and herald spring as it signifies renewal and fresh starts. Here’s how the print looks.. Here’s the inspiration for Midnight Lotus from Anisha: Envision a lotus pond at midnight … replete with ethereal white lotus blossoms, sinuously intertwined, floating gently on deep cobalt blue waters. 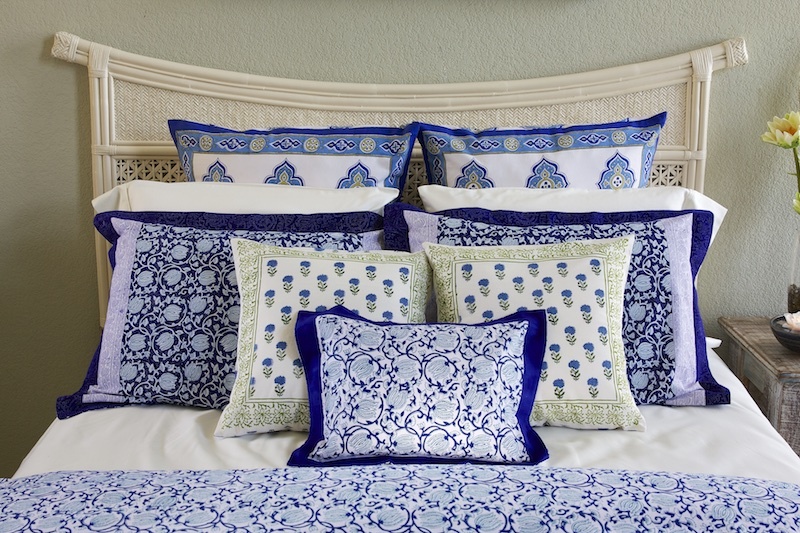 This post talks about the various printing steps involved in the making of the Sultan’s Palace: Our moroccan inspired Blue bedding and Table linens. Transforming a simple piece of cotton fabric into its final form is a fascinating journey. Hope you enjoy it as much as we do. This year we decided to do a Thanksgiving special photo shoot. We picked our orange paisley print, Indian Summer, tablecloth. 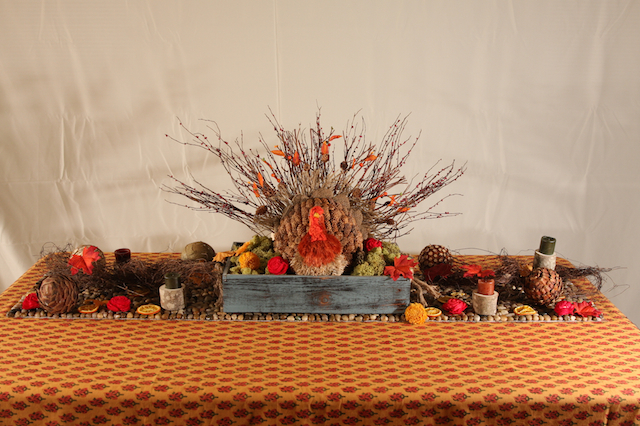 It doesn’t seem to be an obvious choice this time of the year, based on our sales data, but it lends itself nicely to the colors of the season, and we are hopeful that seeing the tablecloth in context will motivate more of our customers to try it for their holiday celebrations. 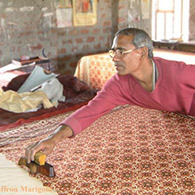 Spice Route, our signature Indian Moroccan inspired print, has been a perennial favorite for many years now. This season we decided to pay our respects to this print by re-photographing it. 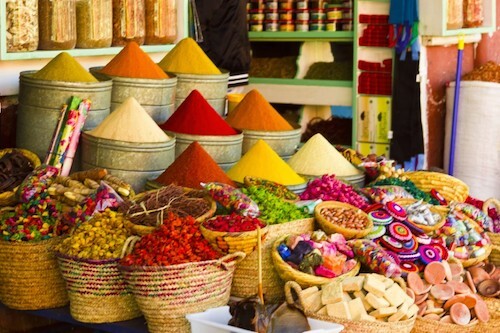 You can see the end results on the Spice Route collections page.